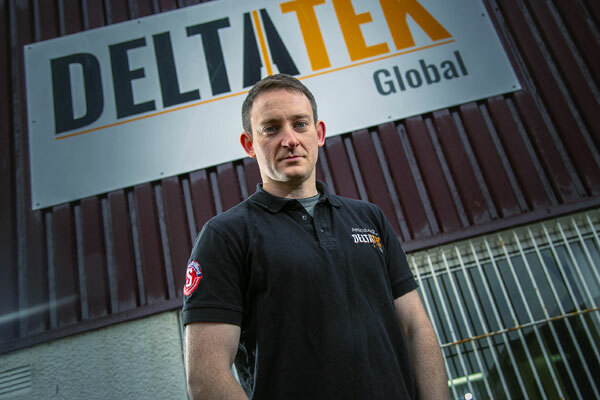 DeltaTek Global, a leading well construction specialist based in Aberdeen, UK, has appointed Chris Johnstone as the new operations supervisor. Johnstone brings with him a wealth of engineering and drilling experience to the team and will be focussing on managing wellsite operations offshore and helping to design and develop new technologies, said a statement from DeltaTek Global. He will also be responsible for implementing an equipment maintenance system and subsequent procedures. Prior to his appointment, Johnstone was a wellsite drilling engineer/performance coach at EnQuest. This followed an extensive engineering career which he began as an operations engineer at Stork and progressed to become a drilling engineer with LR Senergy and AGR Petroleum. Welcoming Johnstone into the fold, CEO Tristam Horn said: "We are delighted to have such an experienced engineer on board. He will play a key role at Deltatek and his appointment is a significant milestone for the company, reflective of rate at which it is growing." "This has been a fantastic year for DeltaTek. We have successfully completed trials and the first deployment of our SeaCure technology with major operators and the OGTC, been awarded our first contract and recruited our first full-time employee, stated Horn, who is also the founder of DeltaTek. "Additionally, DeltaTek achieved ISO 9001 and ISO 14001 certification for its Quality Management System and Environmental Management processes and procedures; achievements testament to the dedication of the DeltaTek team," he added. On his new role, Johnstone said: "DeltaTek has positioned itself as a truly innovative and forward-thinking company, with its unique technologies proving to successfully address challenges facing the drilling sector." "It is an exciting time for the business and I’m thrilled to be part of the DeltaTek journey as the company continues to grow and develop new technologies," he added.